- Breakfast at $4 per person. 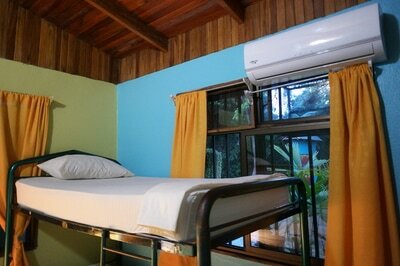 Premium Dorms A step up from our economy dorms, Hostel Vista Serena offers shared 4 person dorms. These all have A/C, towel, lockers, and are located right in our main reception building. There are 2 hot water showers and 3 toilets. 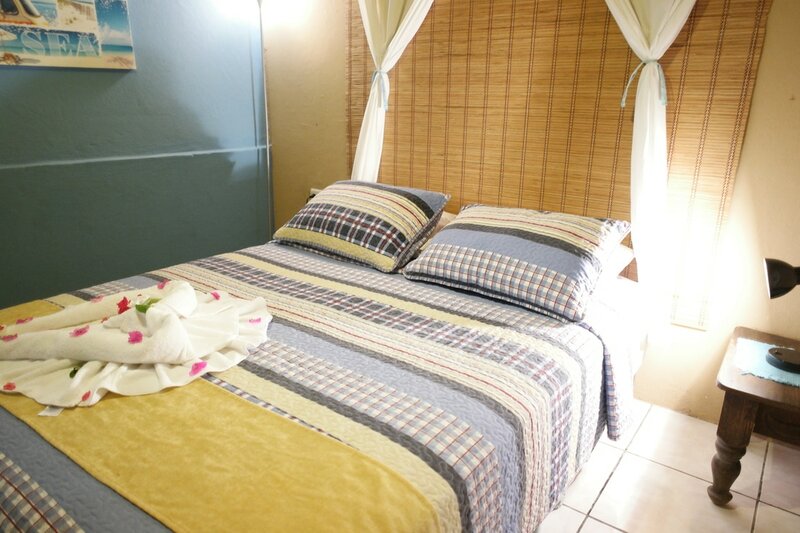 Daily cleanings and new bed sheets are provided free of charge. Economy Dorms We offer the most economical option of the Hostel Vista Serena a house with a balcony with sea view, three rooms with fan and lockers. 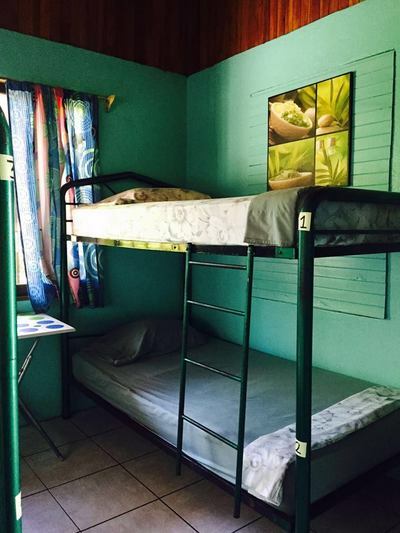 These are shared dorms for 4 people, shared shower with hot water and a communal kitchen. 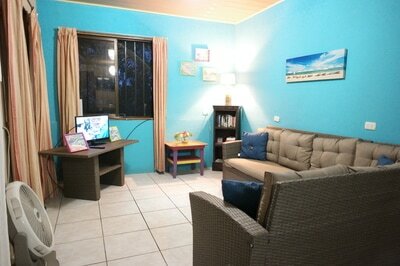 For travelers desiring a bit more privacy Vista Serena offers 6 private rooms. 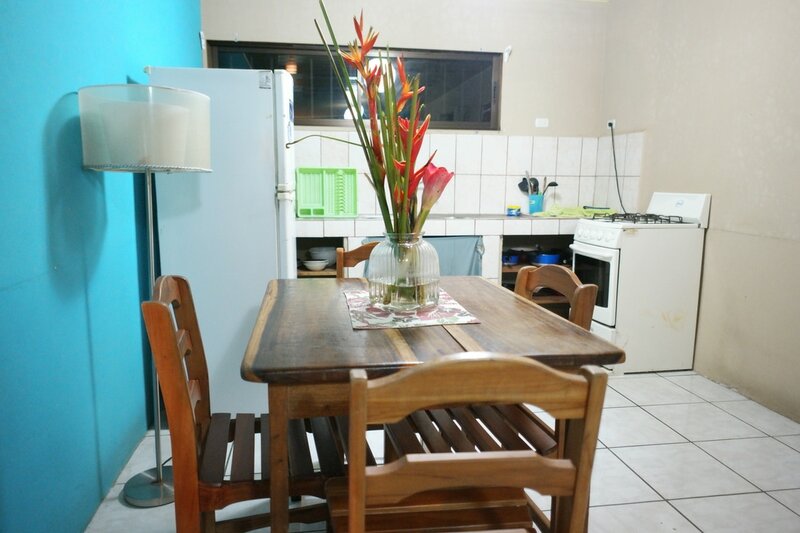 These rooms are split between 3 ocean view bungalows where the rooms are rented individually or the whole bungalow can be reserved for more privacy. Each bungalow will share one bathroom, an ocean view balcony with hammock, living area with cable tv, and full kitchen with dining room table. Sleeps a maximum of 2 people per room. 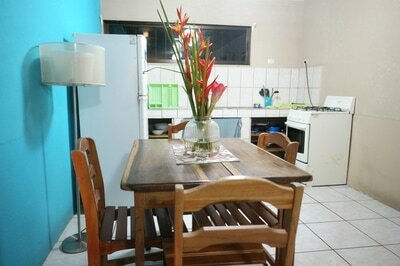 Groups can rent the entire bungalow and sleep up to 8 people with extra mattress provided in the living area. 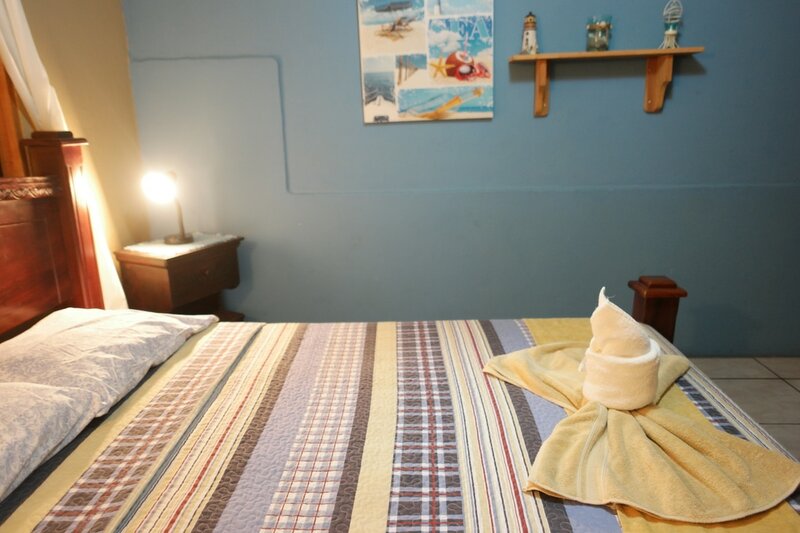 Daily cleaning, towels and new bed sheets are provided free of charge.